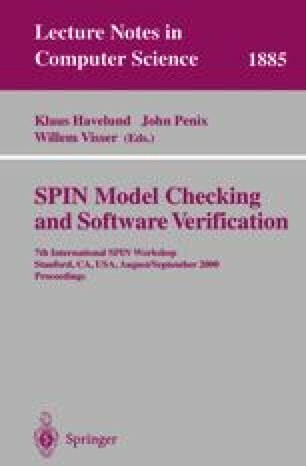 We report on the use of the SPIN model checker for both the verification of a process control program and the derivation of optimal control schedules. This work was carried out as part of a case study for the EC VHS project (Verification of Hybrid Systems), in which the program for a Programmable Logic Controller (PLC) of an experimental chemical plant had to be designed and verified. The intention of our approach was to see how much could be achieved here using the standard model checking environment of SPIN/Promela. As the symbolic calculations of real-time model checkers can be quite expensive it is interesting to try and exploit the efficiency of established non-real-time model checkers like SPIN in those cases where promising work-arounds seem to exist. In our case we handled the relevant real-time properties of the PLC controller using a time-abstraction technique; for the scheduling we implemented in Promela a so-called variable time advance procedure. For this case study these techniques proved sufficient to verify the design of the controller and derive (time-)optimal schedules with reasonable time and space requirements.